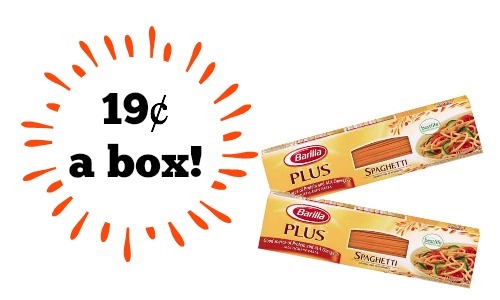 Home > Publix Deals > Barilla Plus Pasta Coupon = 19¢ A Box at Publix! 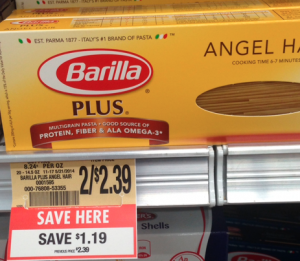 Barilla Plus Pasta Coupon = 19¢ A Box at Publix! Don’t miss a brand new Barilla Plus pasta coupon that makes for an awesome deal right now at Publix!! You should find select sizes of Barilla Plus pasta on sale 50% off. That makes it $1.19 a box before coupons… after coupons it’s a whopping 19¢ or less! (2) Barilla Plus Pasta products, $1.19 ea. Makes it 38¢ for both or 19¢ each! This offer will end 6/13 when the Publix store coupon expires.